Dr. Gerard first came to the program as an intern in 1990. He grew up in Cleveland, Ohio and received his bachelor's degree at the Ohio State University in Columbus. He went north to the University of Toledo for medical school before heading to the warm south for residency. 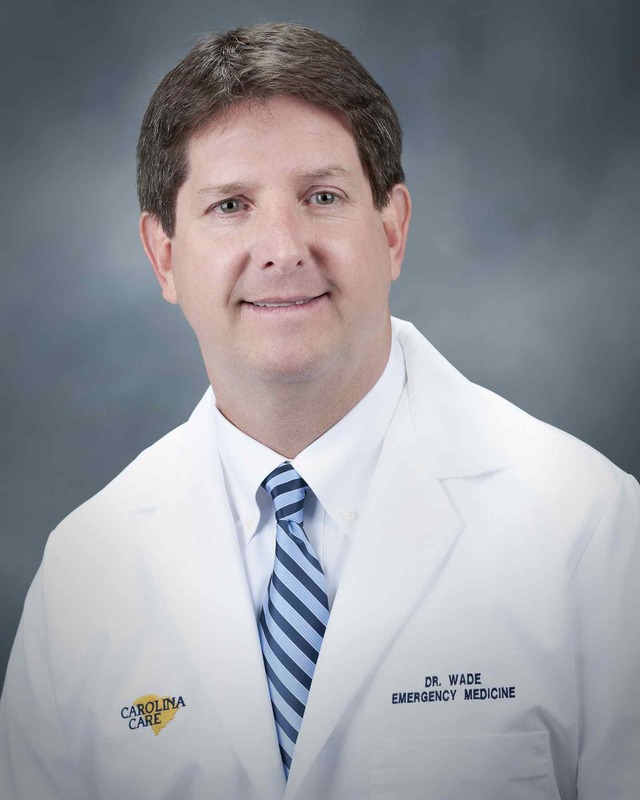 Dr. Gerard has been the director for Richland County EMS since 1995 and is also the southeast regional director for LifeNet Aeromedical EMS which serves Palmetto Health. Always an advocate for emergency medicine, he has been heavily involved with our state chapter of ACEP and is also a past president of the chapter. In 2006 he became the medical director for the emergency department, and in 2009 graduated from the University of Southern California with a Masters Degree in Medical Management. In 2010 he was elected as the hospital chief of staff, and in 2011 became the fourth chairman in the program's history. He lives with his family at Lake Murray and spends his free time enjoying his friends and live music. 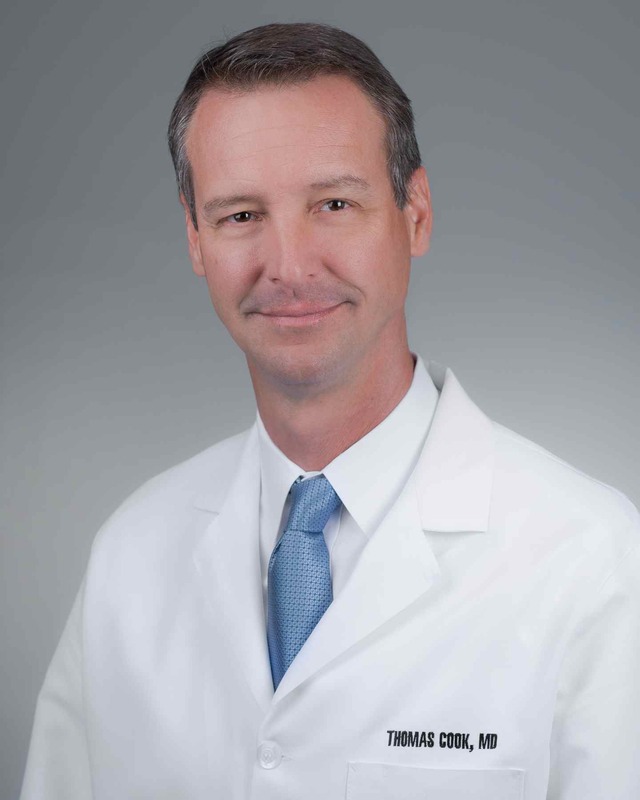 Dr. Cook came to Palmetto Health after leaving the Army Medical Corp in 1996. Born in El Paso, Texas, he was raised in Northern Virginia and received his bachelor's degree from the College of William and Mary and attended the University of Virginia for Medical School. He trained in emergency medicine residency at Fort Hood, Texas before taking on a rugged three-year tour at Tripler Army Medical Center in Honolulu, Hawaii. 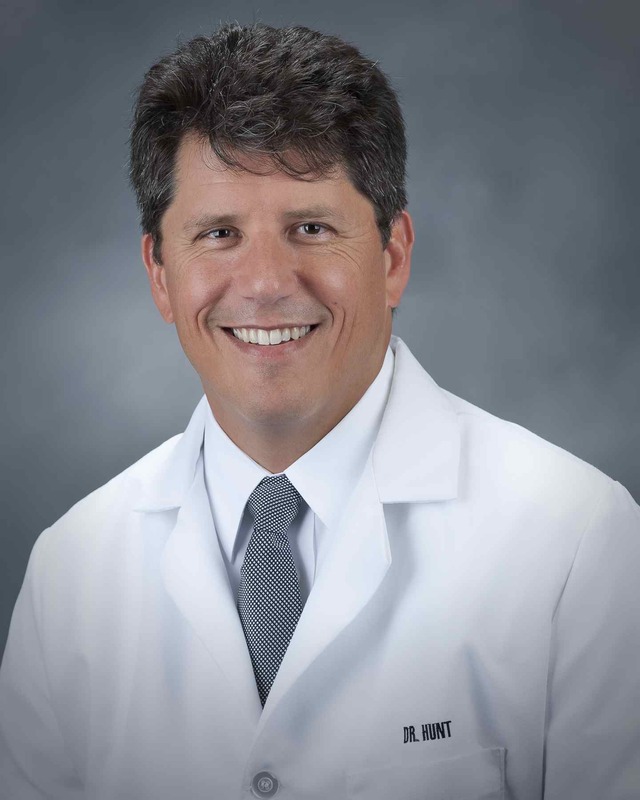 After leaving the army in 1996 he joined the emergency department staff at Palmetto Health where he initially developed the emergency ultrasound curriculum and then founded the nationally recognized 3rd Rock Ultrasound and the Emergency Ultrasound Course. In 2001 he became program director. He lives with his family on Lake Murray in Lexington. He enjoys international travel, boating, and putzing around in his garden. 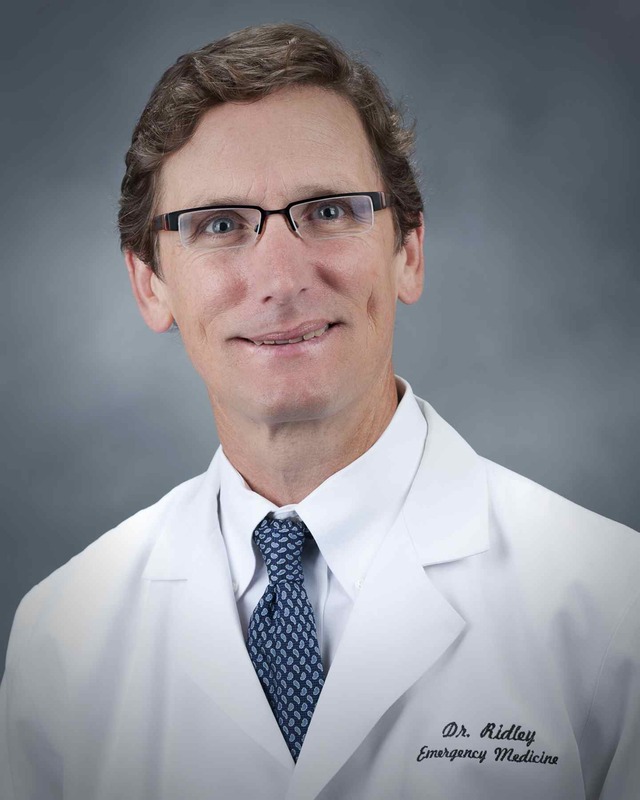 Dr. Privette joined the program after completing his residency at Palmetto Health in 1997. He grew up in South Carolina received both his bachelor's degree and medical degree from the University of South Carolina. During his senior year in residency he was chief resident. 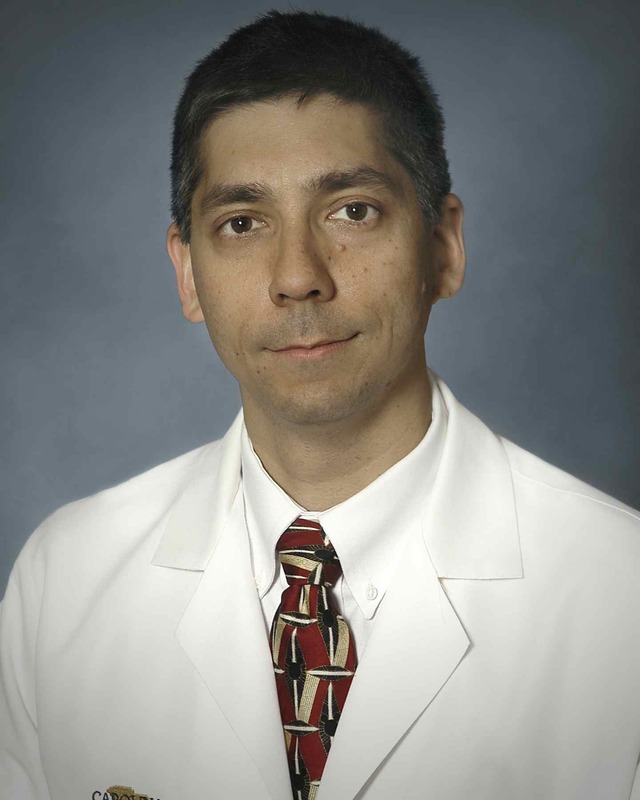 He became the Associate Program Director in 2004, and in 2005 became the director of the highly successful Chest Pain Unit at Palmetto Health. He lives with his family at Lake Murray, and is an avid golfer and diehard Gamecocks fan. Dr. Hassinger was born in North Carolina. He received his bachelor's degree from North Carolina State and his medical degree from the University of North Carolina. He matriculated into the emergency medicine residency at Palmetto Health and graduated from our program in 2014. He joined our staff as faculty after graduation. Dr. Hassinger is the co-director of the Wilderness Medicine rotation. He lives in Columbia with his family and enjoys sailing, hiking, and mountain climbing. 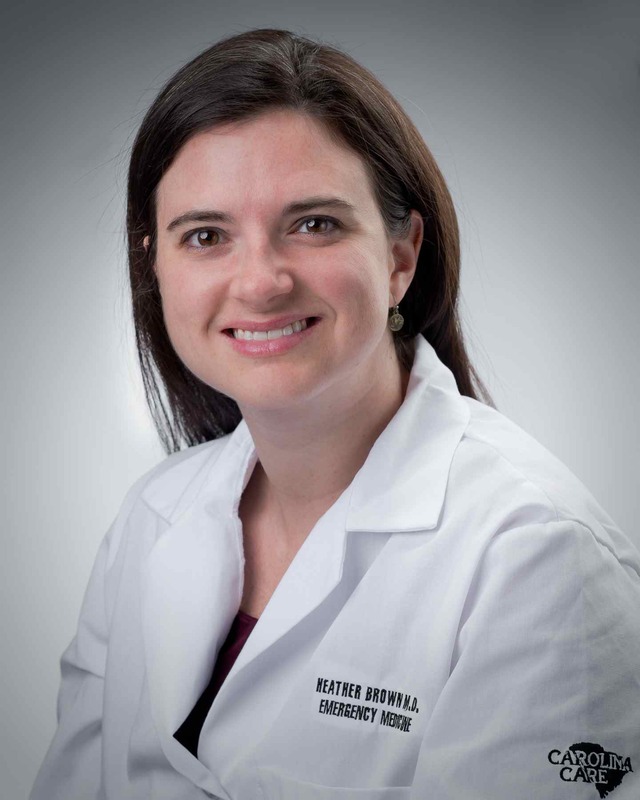 Dr. Brown joined the faculty after graduating from our residency in 2003. He grew up in Cleveland, Ohio before attending Duke University for his undergraduate degree. He completed medical school at Boston University. 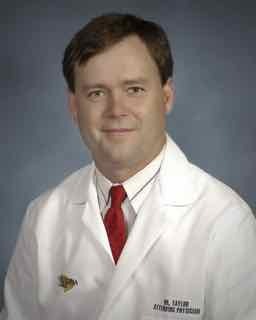 From 2006 to 2017 he served as the director the University of South Carolina School of Medicine Simulation Center. He lives with wife and family in Columbia. In his free time he enjoys golf and live music. Dr. Brown joined our faculty in 2013. She was born in Anderson, South Carolina, and received her undergraduate degree from Clemson University and her medical degree from the University of South Carolina. She entered our training program in 2008 and spent considerable time working on global health missions. After graduation she entered the international medicine fellowship at George Washington University. Upon completing her fellowship she returned to Columbia with her husband to become the first director for our global health fellowship. Dr. Davis joined our faculty in 2010. She was born and raised in Orangeburg, South Carolina, and received both her undergraduate and medical school degrees from the University of South Carolina. She entered our training program in 2005 and was a chief resident during her senior year of training. She is extensively involved in international medicine and has numerous publications in this area. As a senior resident she traveled to Kenya on a medical mission and has been on other trips to Africa and South America. She lives with her family in Columbia. Dr. David Ford was born in Orange, New Jersey. He received his undergraduate degree from Houghton College in western New York before attending Albany Medical School. He completed his residency training in emergency medicine at the Albany Medical Center, and then joined our faculty in 1993. Dr. Ford has been very active in our state chapter of the American Board of Emergency Physicians, and is a past president of this organization. He is currently the director for quality assurance for our department, and he is the medical director for the Good Samaritan Clinic in Columbia, which serves Spanish speaking members of our community. He lives with his family in Columbia. In his free time he enjoys golf. 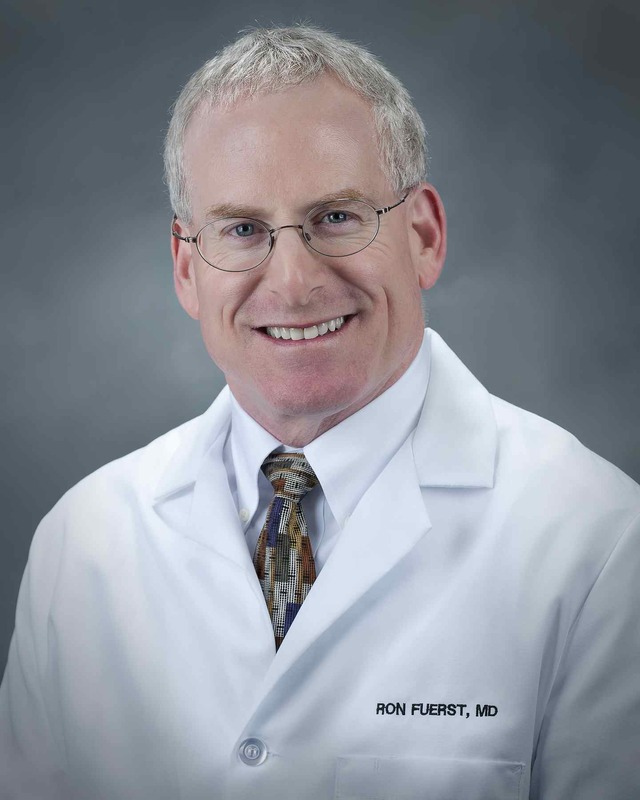 Dr. Fuerst was born in Sumter, South Carolina. He received his undergraduate degree from the University of Tampa and attended medical school at Tulane Medical School. He became the director of pediatric emergency medicine at Florida before joining our department to become the director of the Children's Emergency Center in 1996. Dr. Fuerst founded and directed the Wilderness Medicine rotation for its first decade of existence. He enjoys playing his guitar, boating, camping, and international travel. Dr. Gainey was a native of South Carolina. He received his undergraduate degree and medical degrees from the University of South Carolina. He trained in emergency medicine at Palmetto Health Richland. After residency he completed fellowships in both Simulation Medicine and EMS simultaneously. 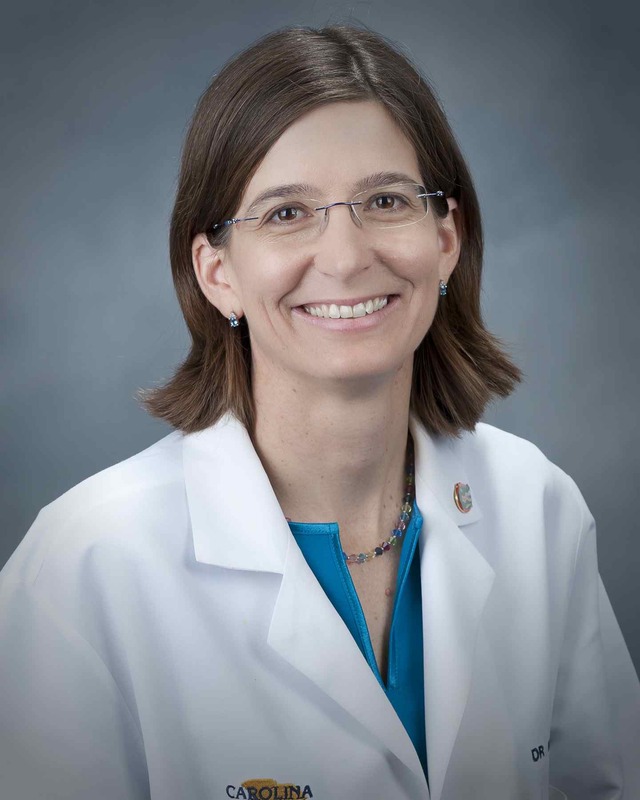 Dr. Gainey is the director for the Palmetto Health- USC School of Medicine Simulation Center and our Faculty Development-Simulation Medicine Fellowship. Dr. Hals joined the program as a faculty member in 1997. He received his undergraduate degree from Capitol University in Columbus, Ohio, and a PhD from the University of Texas Medical Branch in Galveston. He went to Medical School at the University of Texas Southwestern in Dallas and trained in emergency medicine at the University of Cincinnati. He lives on Lake Murray with his family and enjoys boating, wake boarding, SCUBA, visiting our national parks, and international travel. 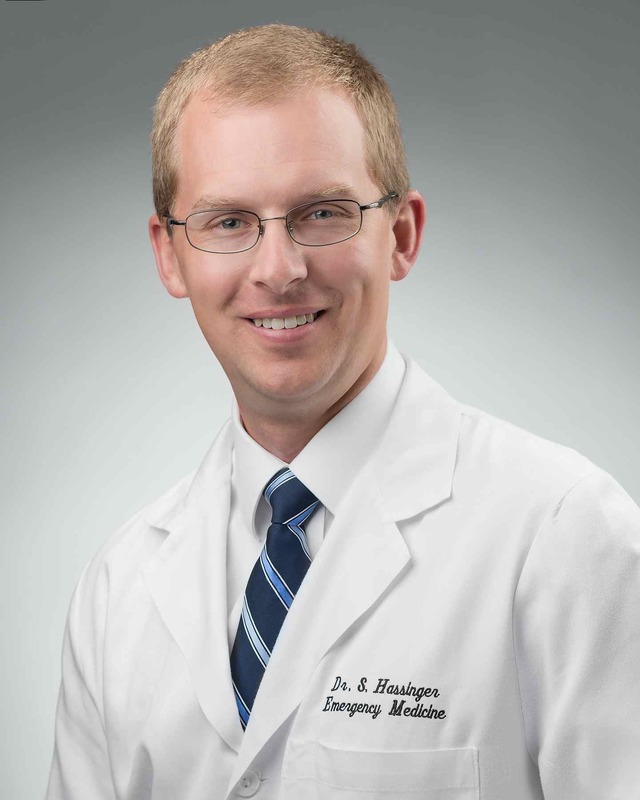 Dr. Hardison was born in Beaufort, South Carolina. He completed his undergraduate degree at the Citadel. He received a Masters of Public Health from the University of South Carolina before matriculating into the University of Kansas City School of Medicine. He completed a toxicology fellowship at the University of Virginia in 2014 before moving to Columbia with his family. 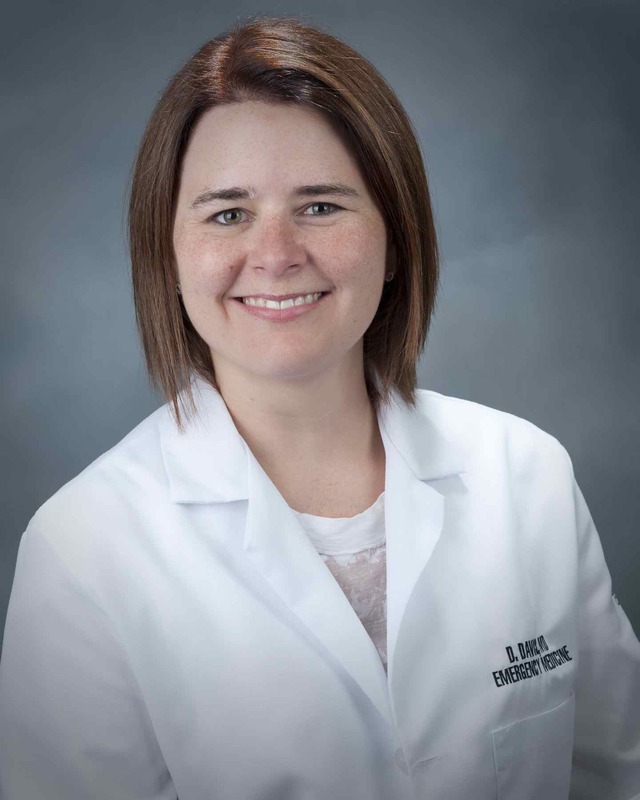 She is the director for our Sexual Assualt Nurse Examiner (SANE) program, and is active in advocacy for emergency medicine through our state chapter of the American College of Emergency Physicians. She is also a past president of this organization. Dr. Harvey is a past director of the Wilderness Medicine rotation. She lives in Columbia and enjoys being outdoors. Dr. Hunt was born in Fort Sill, Oklahoma. He received his bachelor's degree from North Carolina State University and attended the University of North Carolina for medical school. He matriculated into the emergency medicine residency at Palmetto Health in 1996. He joined our faculty full time in 2003. He received his MBA from Duke University in 2005 and in 2007 became president and CEO of Carolina Care, LLC, the company that staffs the emergency departments for Palmetto Health. Dr. Hunt is one of the directors of 3rd Rock Ultrasound and the Emergency Ultrasound Course. He has lectured throughout the United States and overseas including Saudi Arabia, Costa Rica, Mexico, Canada, China, Sweden, Austria, the UAE. In 2006 he became the director for the emergency ultrasound fellowship with our department. Dr. Hunt is also founder and president of Shiftadmin, a company that provides on-line staffing solutions to over 1000 hospitals in teh United States. He lives with family in Columbia and enjoys golf, travel, and fishing. Dr. Jennings was born and raised in Columbia, South Carolina (and is still not tired of it). He received his bachelor's degree from the College of Charleston and his medical degree from the University of South Carolina. He graduated from our residency program in 2005 . After graduation he joined our staff as faculty. 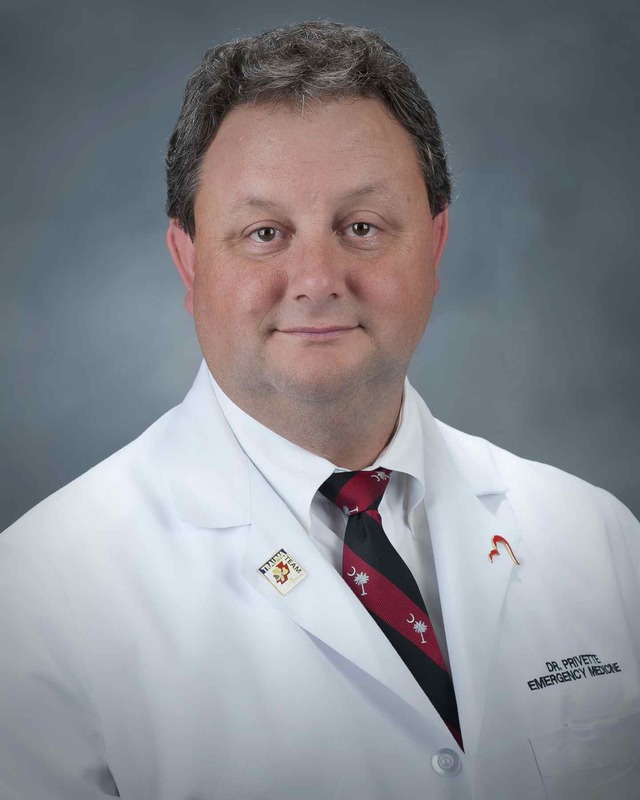 He has served the South Carolina College of Emergency Physicians and is a past president of this organization. Dr. Jennings completed a masters degree in Health Information Technology at the University of Oregon in 2012. He lives on Lake Murray with his family and enjoys golf and boating. Dr. Lloyd was born in Sumter, South Carolina. He completed his undergraduate degree at the University of South Carolina and attended the Medical University of South Carolina for medical school. 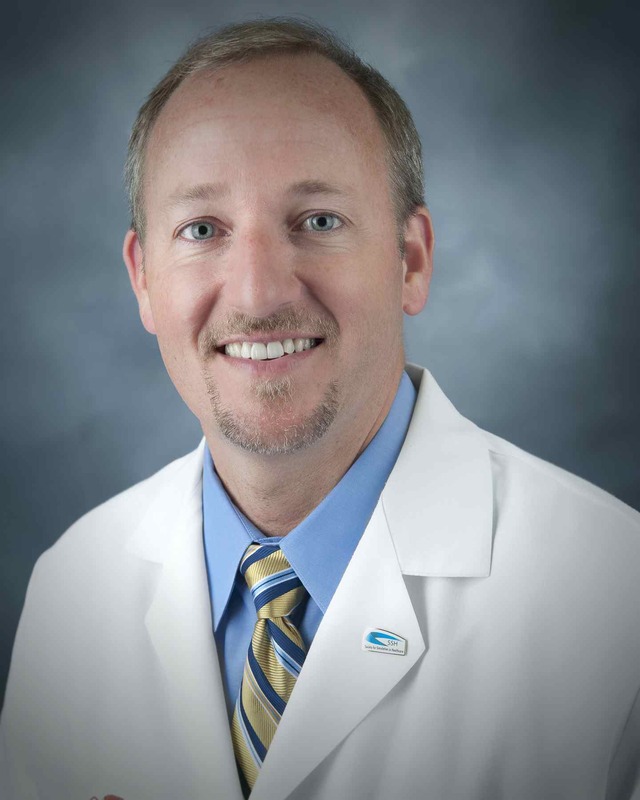 He initially completed his residency training in pediatrics at Palmetto Health. He then completed a second residency in emergency medicine in our program before joining the faculty in 1997. He is boarded in emergency medicine, pediatrics, and pediatric emergency medicine. He lives in Lexington with his family and enjoys soccer and riding his motorcycle. Dr. Myslinski was born in Japan. He received his undergraduate degree from the University of Massachusetts and attended medical school at Baylor University in Houston. 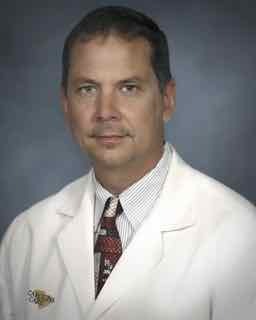 He trained in emergency medicine at Palmetto Health and joined the faculty in 1992. From 1995 to 2001 he was the residency program director. 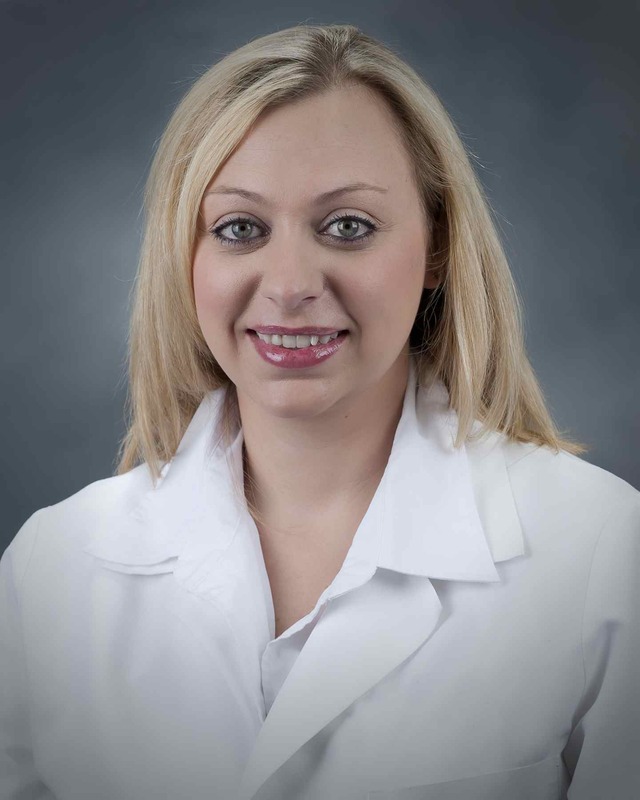 Dr. Nolting completed the emergency ultrasound fellowship in 2011 and joined our staff. She was born in Cincinnati, Ohio and went to Xavier University for her undergraduate degree before attending WSU SOM for both medical school and residency. 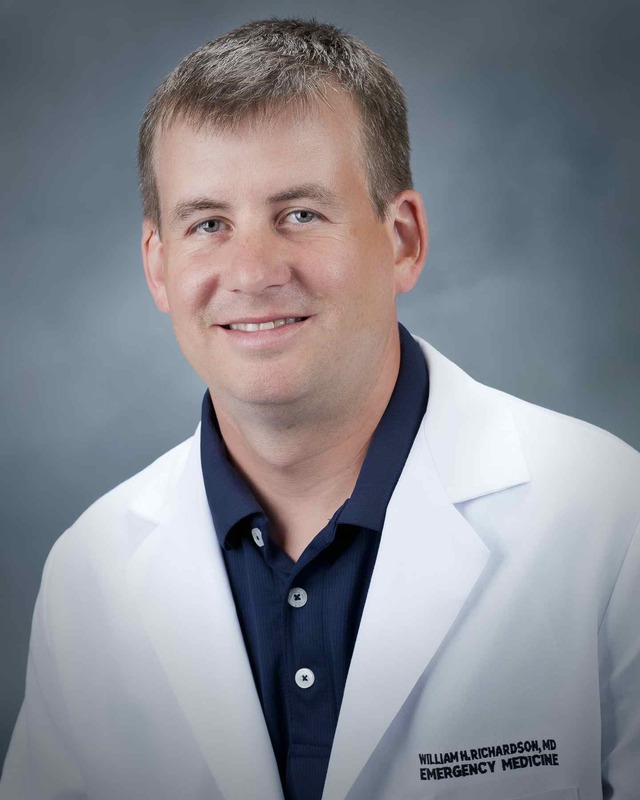 Dr. Nolting is the associate director of the Ultrasound Fellowship in 2016. She lives in Columbia with her husband, 2 boys and 2 dogs. In her free time she enjoys watching football & basketball and travel. 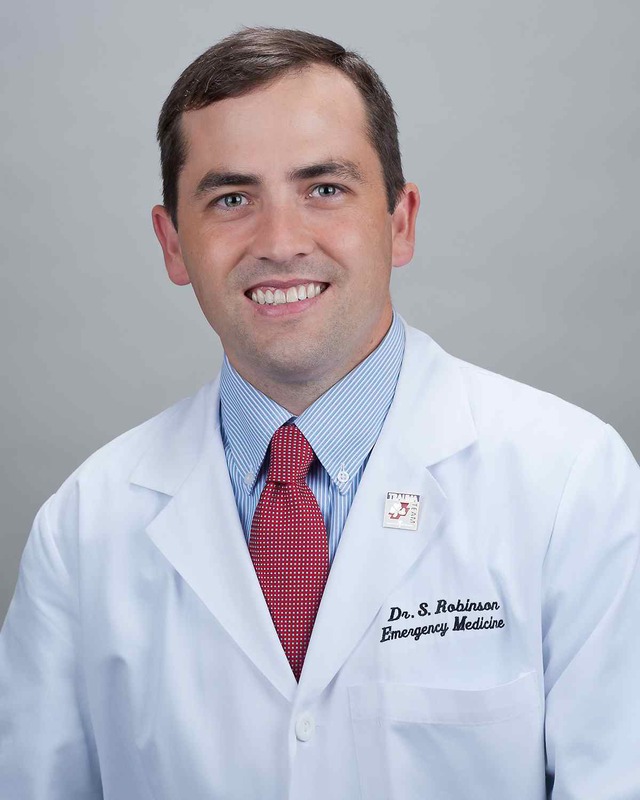 Dr. Richardson is a native South Carolinian who attended Clemson University for his undergraduate degree and the Medical University of South Carolina in Charleston for medical school. He matriculated into the emergency medicine residency at Palmetto Health in 1999 and served as chief resident in 2001-2002. After graduation from residency he moved to San Diego, California and completed a toxicology fellowship at the University of California at San Diego in 2004. He returned to Columbia after completing his fellowship to join our staff and become the director for the Palmetto Poison Center. Dr. Richardson is an accomplished writer with more than fifty publications to his credit. He is the director for research and scholarly activity for the program. He lives in Columbia with his family and enjoys the beach and surfing. Dr. Ridley is a graduate of the Palmetto Health who has worked clinically at Palmetto Health Baptist Medical Center for many years. He is also co-founder & Chief Medical Officer, Soma Access Systems. Inventor of ExactTrack™ needle guidance technology. He lives in Columbia with his wife and Children. Dr. Robinson was born in Pine Bluff, Arkansas. He received his bachelor's degree from the University of Arkansas and his medical degree from the Kentucky College of Osteopathic Medicine. During his senior year of residency training he served as chief resident. Upon gradutation he was recognized as the Palmetto Health Resident of the Year for 2012. After residency Dr. Robinson matriculated into the Palmetto Health EMS fellowship. He graduated from this program in 2013. He currently serves as the EMS medical director for Kershaw County in South Carolina, Air Care Aeromedical EMS, and is the Associate Medical Director for Richland County EMS. 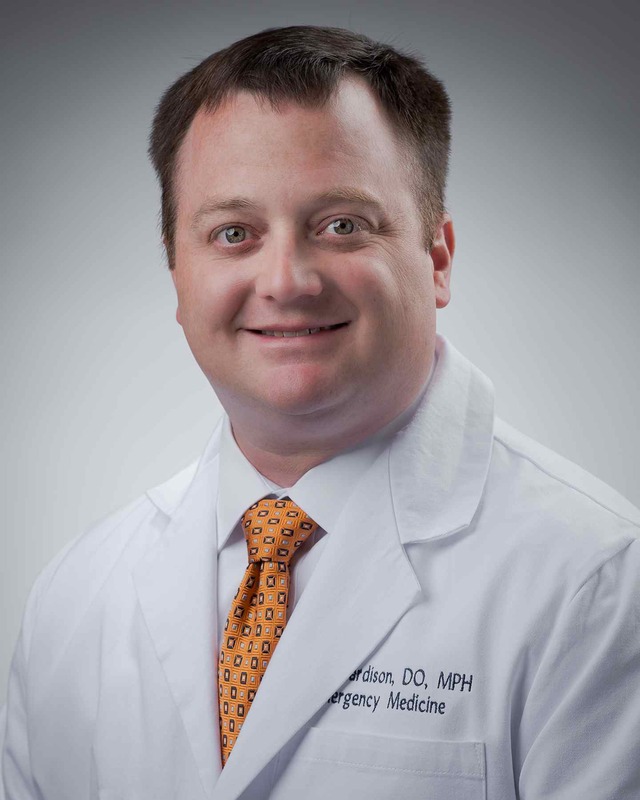 Born in Greensboro, North Carolina, Dr. Shelton received his undergraduate degree from Pfeiffer College and his medical degree from East Carolina University. He matriculated into the emergency medicine residency at Palmetto Health in 1991 and joined the faculty after graduation in 1994. He is the medical director for Emergency Disaster & Management for Palmetto Health and the Tactical Medical Officer for the Special Response Team of the Richland County Sheriff's office. He lives with his family in Blythewood and enjoys boating and travel. 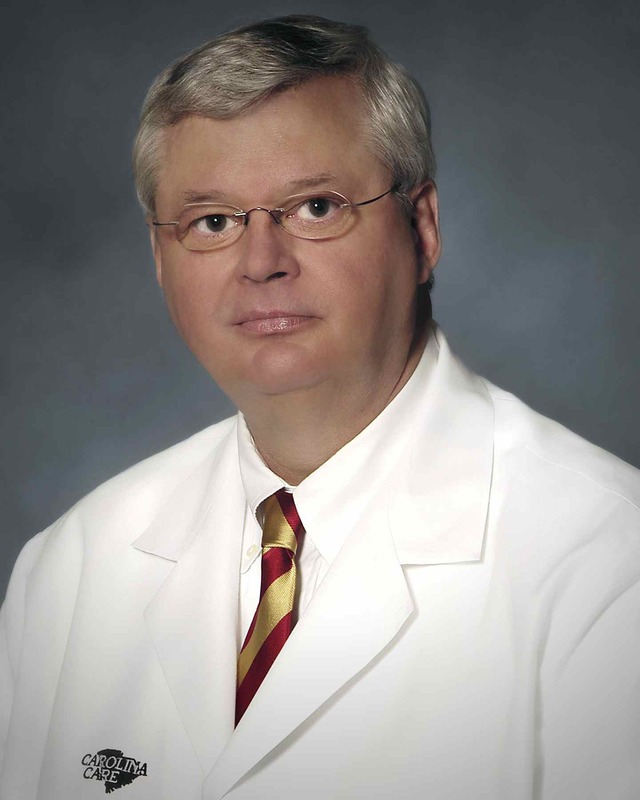 Born in Savannah, Georgia, Dr. Stewart is the longest serving member of our staff. He received his undergraduate degree from Armstrong State College in Savannah in 1968 and completed medical school at the Medical College of Georgia in 1981. He trained in emergency medicine at Palmetto Health and graduated in 1984. He joined the faculty after graduation, and in 1994 he became chairman of the department. In 2004 Dr. Stewart was the hospital chief of staff and served on the Palmetto Health Board of Trustees. In 2002 he was awarded the Order of Palmetto from the Governor of South Carolina for his service to the state. This is the highest civilian honor for a South Carolina citizen. In 2010 Dr. Stewart stepped down as chairman after 16 years of service in that position. 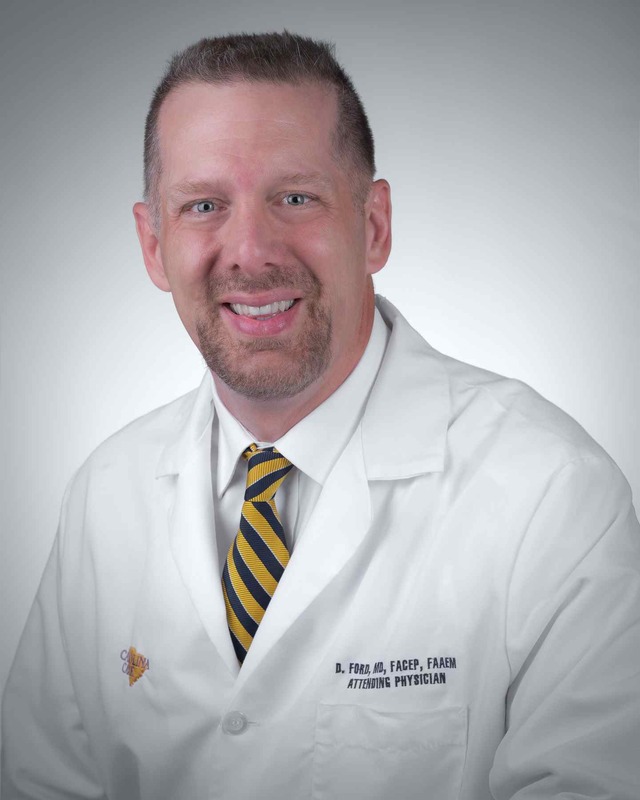 Born in Kingston, North Carolina, Dr. Taylor received his undergraduate degree from the University of North Carolina at Chapel Hill in 1981. He attended medical school at East Carolina University and entered our emergency medicine residency program at Palmetto Health. After graduating from residency he joined the department as faculty in 1991. He developed the personal finance curriculum for our residency program and is an editor for several medical publications. He lives with his family in Columbia and enjoys personal finance and gardening. 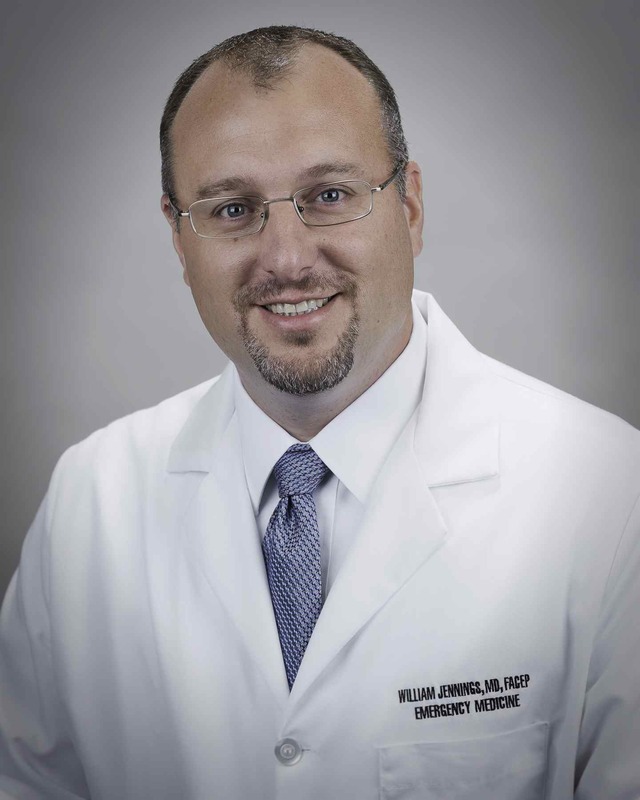 Dr. Wade was born in Oklahoma City but was raised in South Carolina. He received his undergraduate degree at the University of South Carolina and his medical degree from the Medical University of South Carolina in Charleston. 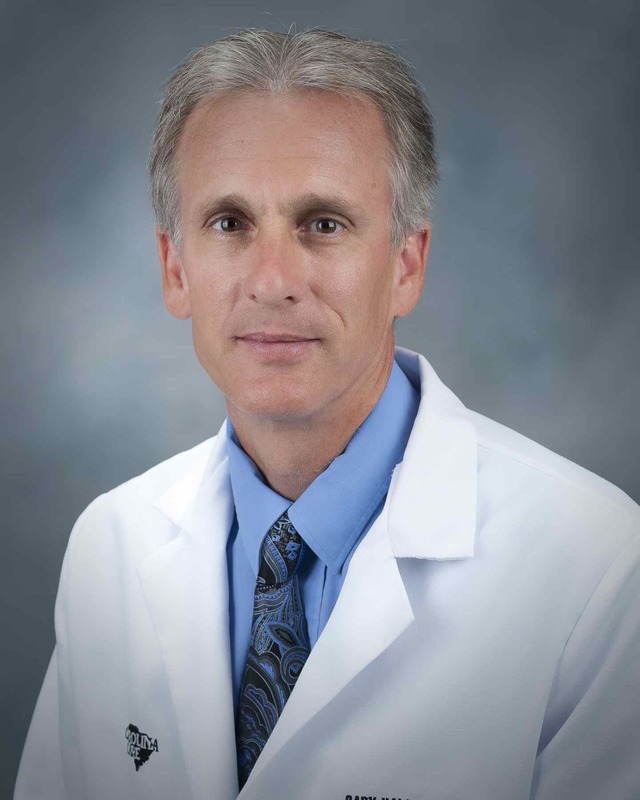 He trained in emergency medicine at Palmetto Health and joined our staff in 1991. He lives on Lake Murray with his family and enjoys boating and golf. 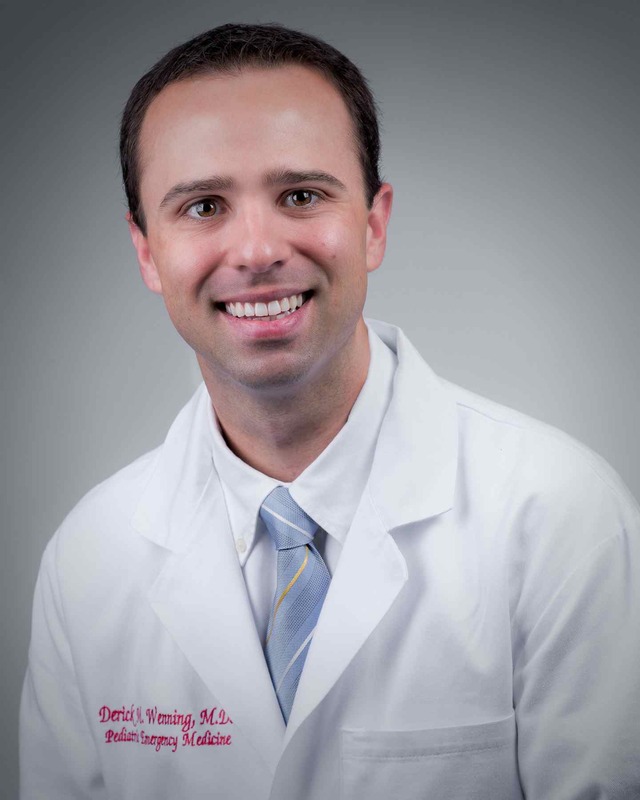 Dr. Wenning was born in Metairie, Louisiana. He received his undergraduate degree at the Northwestern State University of Louisiana and his medical degree from Louisiana State University School of Medicine at Shreveport. 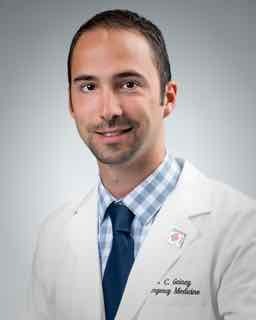 He trained in emergency medicine at Palmetto Health and and then completed a fellowship in pediatric emergency medicine at Wake Forest University. He joined our staff in 2013, and he became the Medical Director of the Children's Emergency Center in 2016.